Something is happening in Japan. A Sea Change. Little by little, without much notice or debate, a change. Across Japan, the practice of hunting dolphins and porpoises for their meat is dying out. The Japanese Fisheries Agency is still determinedly churning out fat kill quotas, but increasingly, one prefecture after another is quietly opting out, as the demand and market for dolphin and porpoise meat continues to shrink. There is a phrase in Japanese, “Furu kusai” 古い臭い which translates approximately to “stinky old” — a label attached to things no longer considered relevant, useful or appealing. I think it applies. The relevance of cetacean meat in Japan is diminishing, year-by-year as those most likely to eat it, grow old and pass away. So let’s have a quick look at what the numbers are showing us. While quotas are issued every year by the Japanese Fisheries Agency, listing how many small cetaceans may be killed in each prefecture, the figures of the ACTUAL numbers of cetaceans being killed are not reported until several years after the fact. Though a total quota of 17,939 small cetaceans was issued, the number actually killed was 3,133, plus 89 taken captive (in Taiji). 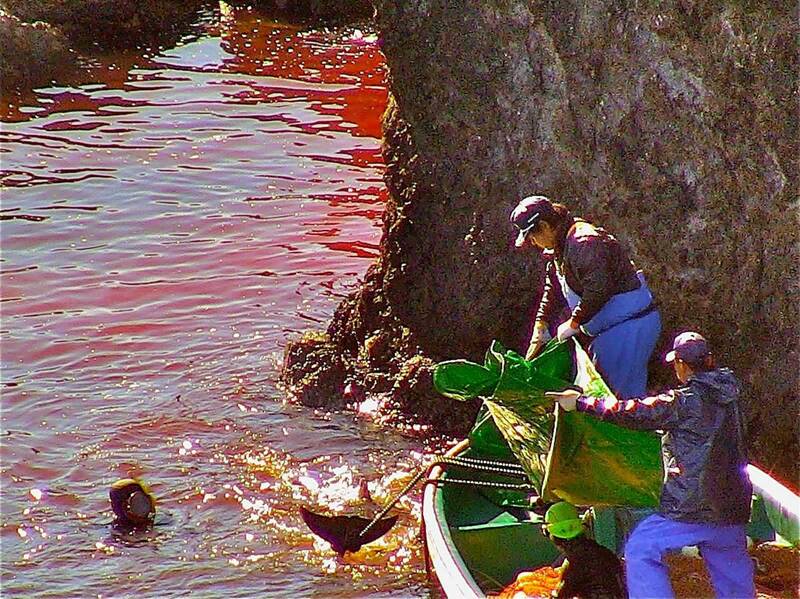 In the 2013 season, the total issued quota was 17,216, yet the number actually killed was 2,619, plus 153 taken captive (again, in Taiji). In the 2014 season, the total quota issued was 16,497, yet the actual number taken was 2,586 (including captives). The prefectures of Hokkaido*, Aomori and Shizuoka stopped catching dolphins/porpoises years back, while Chiba, Miyagi and Okinawa take very few. Iwate prefecture, which for long years took the lion’s share of the quota, harpooning many thousands of porpoises, has seen numbers collapsing even before the 2011 tsunami struck. Which leaves us with Wakayama, or to be specific, the little town of Taiji. Glowing like a carbuncle on the face of Japan, Taiji keeps going. Yet even in Taiji, the numbers of dolphins being harpooned for meat during the summer months are falling. Even so, the number of cetacean species that may be taken via drive hunts has expanded, rough-tooth dolphins and melon-headed whales having been added just last year. The given quotas for these new and un-tapped species were quickly filled — leading to an immediate quota extension for both. Ironically, it is not a popular desire for cetacean meat that has allowed for this, but rather, it is the capture and trade of live dolphins that directly under-pins all of this activity. Taiji feeds on the unsuspecting public’s fascination for dolphins. It’s hard to imagine a more cynical business. While hiding behind the banner of “traditional whaling” (and yards and yards of plastic tarps) hundreds of dolphins suffer hours of panic-stricken chase and frequent injury or drowning, as families are separated amid a chaotic roar of boat engines. 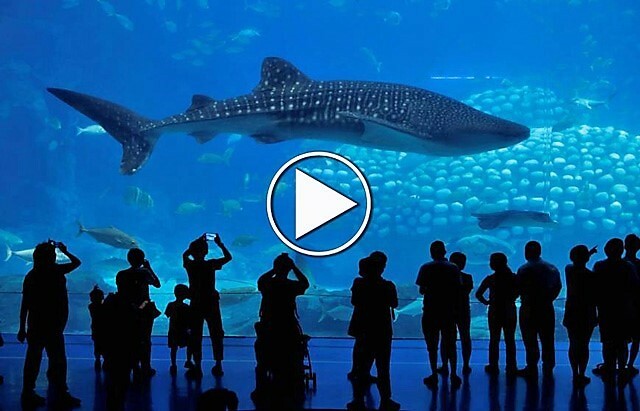 The young and pretty are selected for a life of incarceration by aquarium staff, while the larger, older members of the pod may be slaughtered. With demand for the meat so low, the tattered and traumatized remainder of the pod, including tiny baby dolphins, are often driven forcibly back out to sea, only now without the wisdom and protection of their mothers and elders and left to fend for themselves. The further deaths that likely result from this dreadful ordeal remain uncounted. All this to provide aquariums across Japan, China and elsewhere with hoop-jumping performers. And the greatest irony? 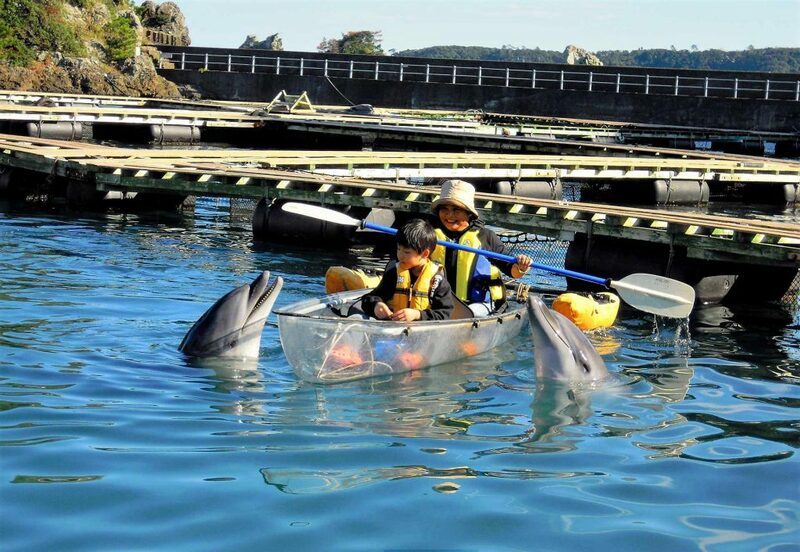 That the unsuspecting public buying the tickets to these captive dolphin attractions are actually helping to subsidize and perpetuate the Taiji hunts — despite the fact that they actually LIKE dolphins! It’s not a stretch to imagine most of these people would be horrified if they were to discover the brutality that the dolphins endure to end up in an aquarium and how much bloodshed it involves. In fact, so brutal is this process of driving dolphins in Taiji, that the Japanese Association of Zoos & Aquaria, in alignment with the World Association of Zoos & Aquaria WAZA, have issued statements condemning the inherent cruelty of these drive hunts and have banned any accredited facilities in Japan or elsewhere from collecting live cetaceans in this manner. The suffering the dolphins endure in Taiji is upsetting. Having been there and seen it with my own eyes I know just how devastating the drive hunts are. However, responding by spewing anger and hate onto social media does not help to save a single dolphin. So, don’t just get mad. Get smart. Realize that it is by having a “foreign enemy” to rail against, that allows the Taiji dolphin hunters to drum up sympathy from their countrymen as “oppressed underdogs” as well as raise support from their government. If you really want to help make a difference, direct your energies towards connecting with and supporting the growing network of Japanese citizens who are learning to care about this issue. Hordes of angry frothing foreigners are scary — scary enough to drive a lot of Japanese would-be dolphin supporters away or underground. If you want to be part of the solution rather than part of the problem, use your energies wisely. 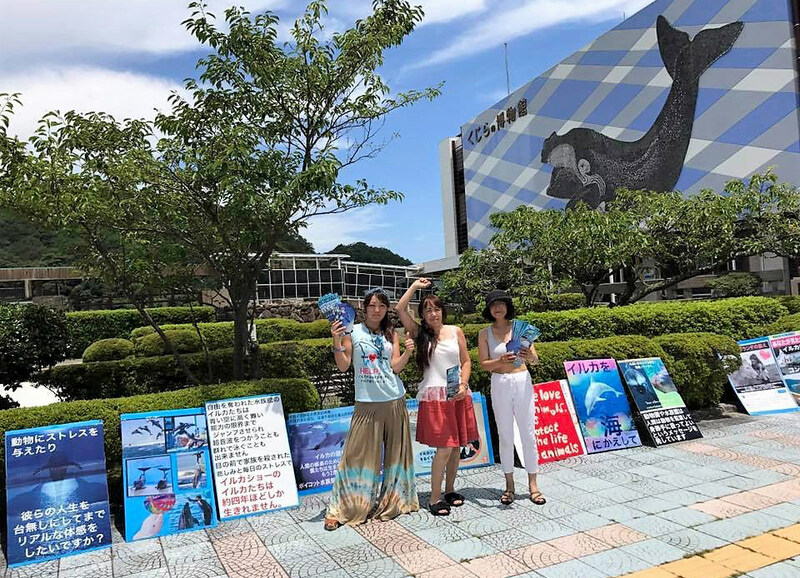 There’s a new breed of Japanese environmentalist out there and increasingly, the suffering of the dolphins is on their radar. Let’s give them the encouragement they deserve and help them to OWN this issue. Because make no mistake, Japanese citizens hold the key to ending the dolphin slaughter. They are the only ones with a voice that counts in Japan and they have the power to make positive changes happen. *Hokkaido appears to have stopped taking porpoises some years ago, but does still kill a limited number of beaked whales each year. Leah Lemieux is an author and lecturer who has been working on dolphin protection, education and conservation initiatives for twenty-five years, collaborating with individuals and NGOs from a number of countries, including the Jane Goodall Institute’s Roots & Shoots Environmental and Humanitarianprogram. Thank you for this story regarding Taiji Japan. I have been an activist for years against the capture and kill of these magnificent beings. Many around the world do not know of the death and selection process which is fueled by those who support dolphin captivity. We wil be the voice for the dolphin but we must also be the voice that educates the Japanese people. I pray before my time has ended on earth to know that so many shared in this process of respecting the dolphins and whales. Let them be free in their home the sea., live long lives and carry on as hundred of years before them. God bless. Thank you for such an enlightened report. I am an american i live in california and have been watching in horror as this is happening in real time. I will do whatever it takes to save these extraordinary creatures. Thank you for the positive words of advise. Excellent article, Leah. With your long experience at Taiji, and your constant effort to engage Japanese citizens to “own” the issue, you have helped to increase local resistance and decrease misguided and counter-productive efforts by foreigners who don’t understand the Japanese culture. Please share your suggestions for the native Japanese activist NGOs working on this, with your guidance on how we can help them. Wise words, Leah. I agree that insulting remarks about the Japanese nation as a whole helps no one least of the dolphins and only antagonises people. There is good and bad in every country, every culture, every nation. Attitudes and behaviour can change with sweet words not insults and anger. Thanks for your thoughtful words. 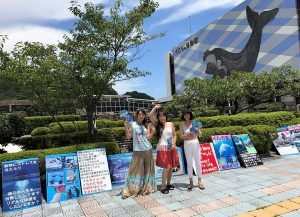 As someone who has followed this issue for many years, it is wonderful to hear that the Japanese people are starting to make different choices around the dolphin drives. They deserve our support. And much of the reason that this issue has become well known is the long term and courageous work of activists from organizations like Sea Shepherd and Greenpeace, among many others, who did whatever they could to stop the slaughter and bring it to the attention of the public. Perhaps other kinds of interventions are more appropriate now, but to dismiss their work which has created the foundation that any future change is based on, is telling only a tiny part of the story. These activists put their lives on the line to try to save dolphins. They deserve some credit for where things are today. Wonderful this is FINALLY getting the msg through to the Japanese residents…..but it might be too late. The dolphins are being taken from the oceans, pods at a time. But TAKING, TAKING, TAKING from our oceans, is so bad. When no one puts back what was taken, our oceans can’t catch up. You take, but never ever replenish. Our oceans are not a free for all, take as many as you want, as often as you want. The OCEAN DOES NOT HAVE AN ENDLESS SUPPLY OF DOLPHINS. Stealing from our oceans, is WIPING OUT ALL DOLPHIN SPECIES. Dolphins, whales, and all other marine mammals need a voice to stay STOP! 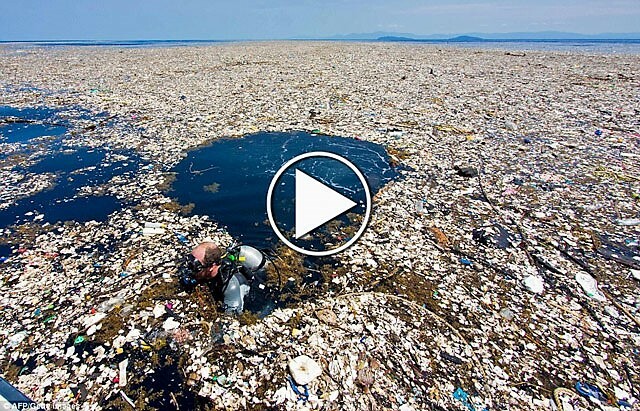 Humans are destroying our planet Earth, our oceans cannot be stolen from. These animals are generations, and generations of species, that has taken many, many years to develop. Like a human family, you have elders, and children, and babies. So do dolphins, and whales. So do all other ocean species. You cannot play GOD, you are destroying our planet. Stop stealing, and taking what WAS NEVER YOURS TO BEGIN WITH. THE OCEAN IS NOT A FREE FOR ALL. YOU ARE WIPING OUT OUR OCEANS WITH YOUR GREED, AND SELFLESSNESS. Shame on you. Thank you for taking the time to educate the Japanese. Maybe one day it will make a huge difference. I realize that Japan has a nation that it’s residents dont even know this is going on. Hoping this will open their eyes. We must teach the Japanese, that our World is changing, extinction is forever. Thank you for the article. Helps relieve some of the borrow and dismay that Taiji generates. Just a shame there’s no link to any one person or group to support.